the sweetest thing...: MFTeasers | Day 1! Welcome to day ONE of MFT Teasers! Today, the gang is featuring a new Who's That Girl set - this is Godspeed. I did a little paper piecing with this image - I started by stamping the image in Memento Tuxedo Black ink on some cork paper from the Note to Self 6x6 paper pack from Echo Park and that laid out the cork background. Then I stamped it again on white cardstock and again on some darker paper from the Note to Self pack. I colored the jacket with Copics to add some shading and to tone the pattern down a little bit. I added some stars using the new Star STAX Die-namics and stamped the sentiment on one of the Fishtail Flags STAX Die-namics dies. I ran the Notched Border Die-namics die through my Vagabond to make 2 borders and then I sewed them together (sort of) using some large zigzag stitches. The layout is Sweet Stop's SSS160. For the inside of my card, I stamped the bold sentiment on more of the cork paper, the letters in Memento Tuxedo Black and the heart in Memento Lady Bug. 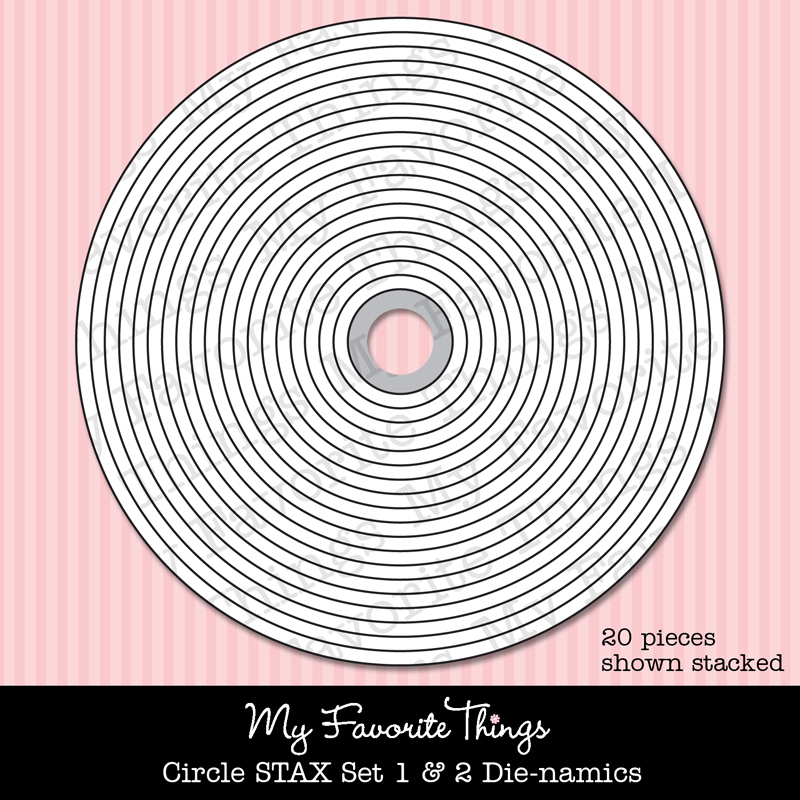 The tag is one of the soon-to-be-released Traditional Tags STAX Die-namics and then I made the hole at the top by layering the small dies from Circle STAX 1 Die-namics and Circle STAX 2 Die-namics. Don't forget to stop by the MFT Blog for a complete list of the designers playing along in today's teaser. Okay, I may have to break down and buy all these die-namics, Love the tag and the soldier and the whole thing is so awesome. LOVE how you used the double border! Love your card! Like the way the borders and stitching almost look like a zipper! Love the inside of the card too! GASP!! Karen!! I love the crisp colors and bold design!! The notched border is FABULOUS!! oh, wow! fantastic with the cork accents. and the stitching holding together the notched borders you used....love it! 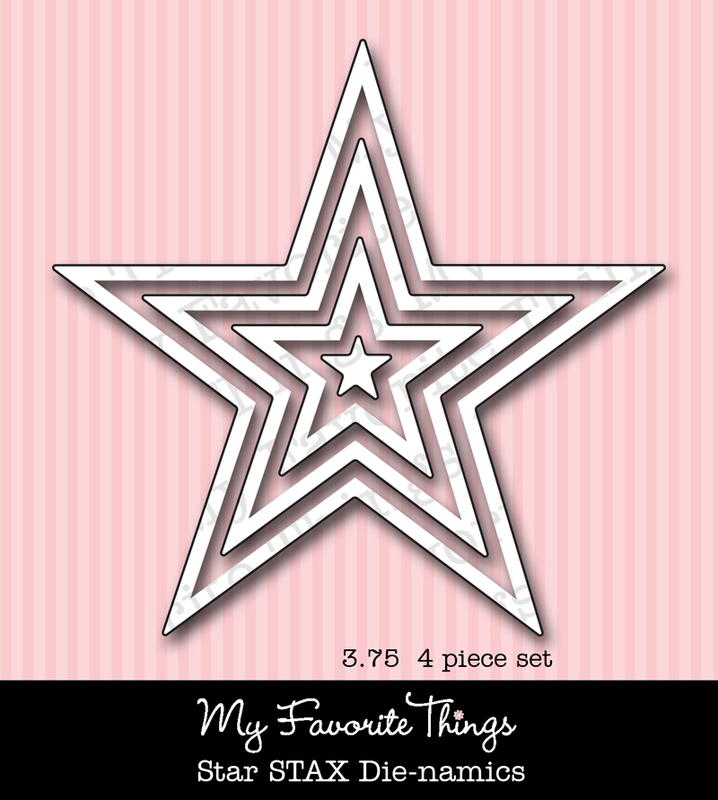 This is so nice, love the layered stars! Great card! Love the cork and the colors. Wow! The coloring on that jacket is amazing. 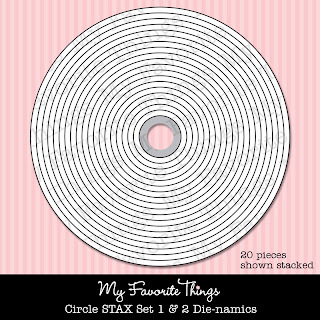 Really like the various dies you used on your card. Love this!! 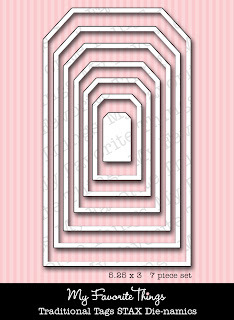 Awesome way to use the notched border!! great card, love how you sewed the notched borders together, neat touch!really terrific inside too! Great card. I love the stars, this die set is definitely going on my must have list! love that you incorporated red, white and blue and how he stands out in his uniform! GREAT card! Great use of dienamics...you make me want them all! Terrific card!Love the paer pieceing then coloring of the jacket. It turned out beautiful. 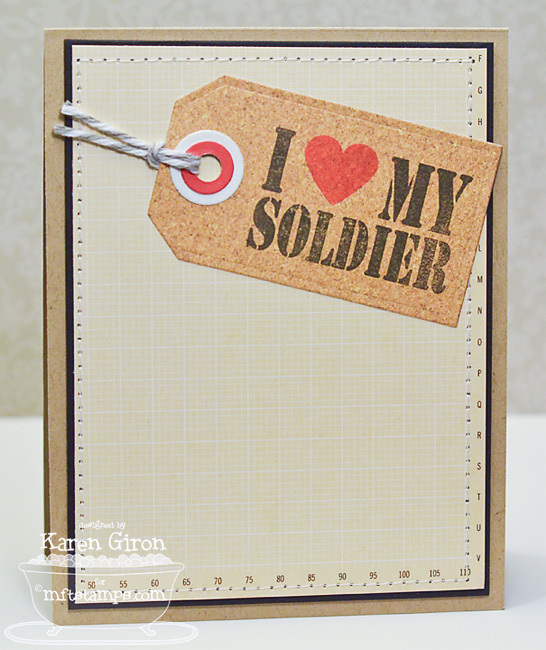 I love allthe dies and layers.A truely great card for any soldier to feel cared for. Oh just love this set! Love your card too!!! Love the cork paper and lay out, very nice! AMAZING! LOOOOOOOOOVING that cork paper!!! FAB girlie! Fabulous design, Karen! I love it! Such a wonderful card. I love the use of the cork for the inside tag! Love the use of the cork paper. 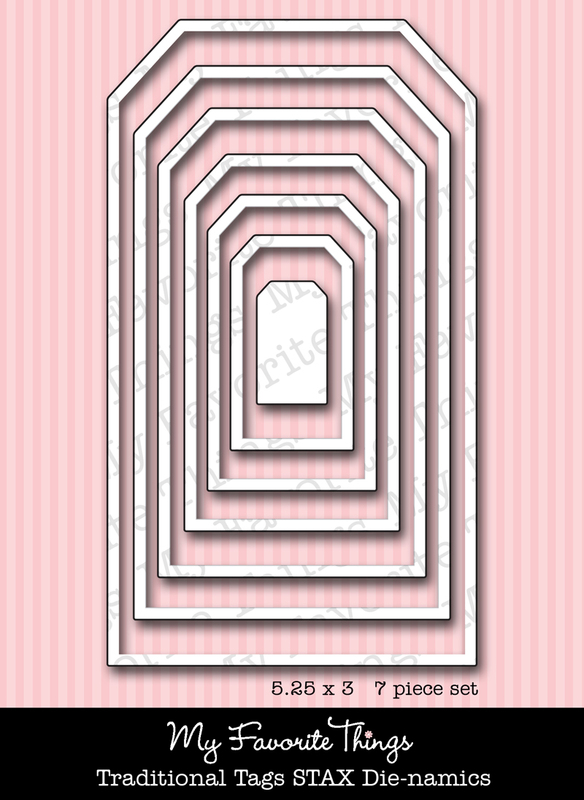 I love what you did with the Notched Border Die-namics & the stitching. I also like the way the stars are staggered amongst the layers, adding depth & dimension. Great card! All the elements go so well together! I love that you used the cork board. The coloring has a nice 'feel' to it. Karen, your card is awesome! Lvoe how you did the jacket and love all the layers! Love the texture the cork paper adds. Great card. 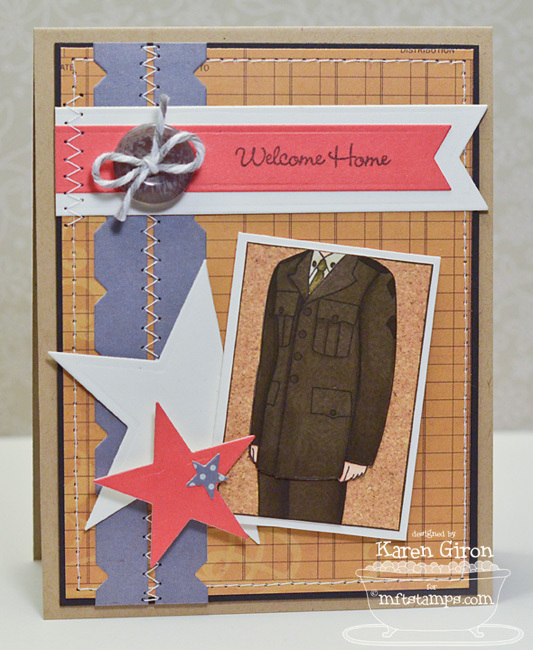 Great card, Karen, love how you used the border die! I love the fussy cut and great cork in the background :) You make Fabulous cards inside and out. Love how you tossed in a little pink with a manly card. Love a little surprise. This is fabulous, Karen! I love the two Notched borders back to back and WTGuy looks fabulous...beautifully coloured and I love the cork background! Love how you stitched the two notched borders together! It's those little details that make a card pop!